The Cultural Attaché Office of the Embassy of the Sultanate of Oman was established in Kuala Lumpur, capital of Malaysia on October 1, 2011. The first Cultural Attaché was Dr. Khamis Bin Saleh Al Bulushi, his duties lasted for five years from 2011 to 2016. The current Cultural Attaché is Mr. Yahya Salam Al Mandhari, who assumed his duties on 15 August 2016. The cultural attaché Offices are affiliated and run by the Ministry of Higher Education in the Sultanate of Oman and considered as part of the diplomatic mission in the host country under the oversaw of the Omani ambassador. 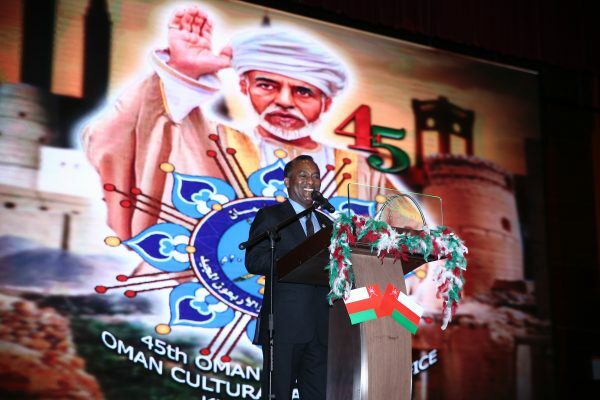 There is a regulation that regulates the Cultural Attaché Work, which is keen to carry out its mission of serving Omani students in different level of studies and guiding them to achieve their goals and to contribute to building a bright and constructive future for their beloved country, Oman. Moreover, the Cultural Attaché Office of the Embassy of the Sultanate of Oman has endeavored to build bridges of strong communication to follow positive and fruitful plans in both educational and Cultural levels. The Cultural Attaché Office evaluates the higher education institutes in Malaysia in terms of quality assurance and providing suitable and appropriate educational teaching environment based on rules and regulations set by the Ministry of Higher Education in the Sultanate of Oman. The Cultural Attaché contains several departments as follows: Academic Affairs department, Finance Affairs department, Administrative Affairs and the Public Relations department.